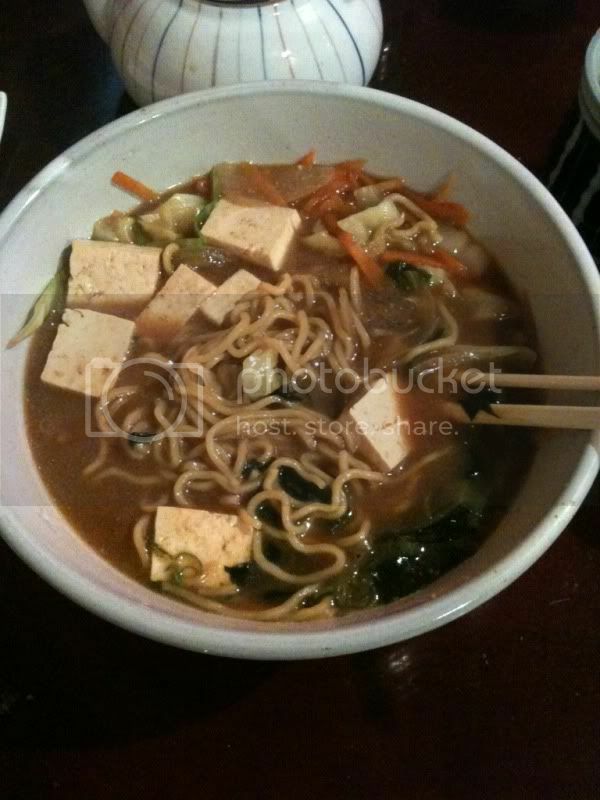 This first picture is of a bowl of ramen with veggies and tofu... that I didn't make. I got it this Saturday from my favorite sushi restaurant Izakaya Raku. If you live in Arroyo Grande you HAVE to try it. The people there are so nice and the food is amazing. Anyway, hot ramen on a cold day = a happy Asian! 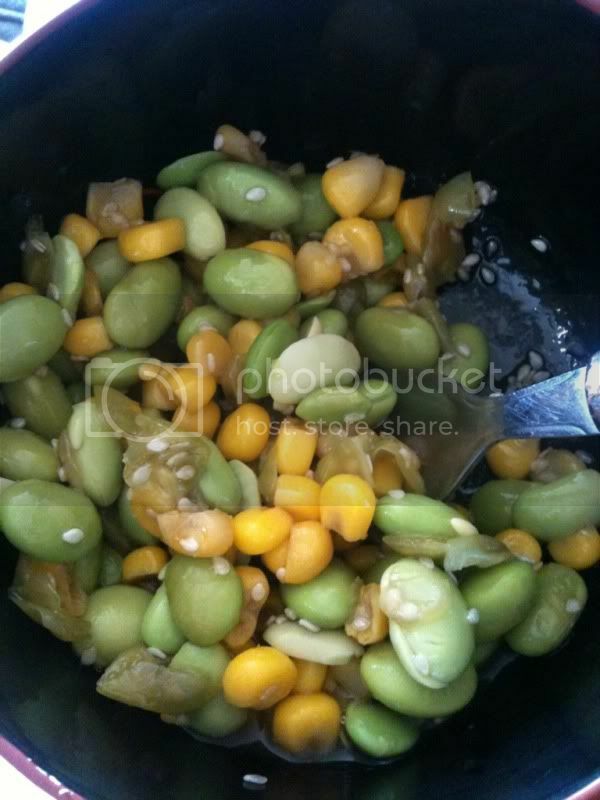 I made this one: shelled edamame, corn, and sesame seeds in a soy sauce/rice vinegar sauce. Yum! Luke loved this one. This was tonights dinner, and so far my favorite salad I have made in a while. 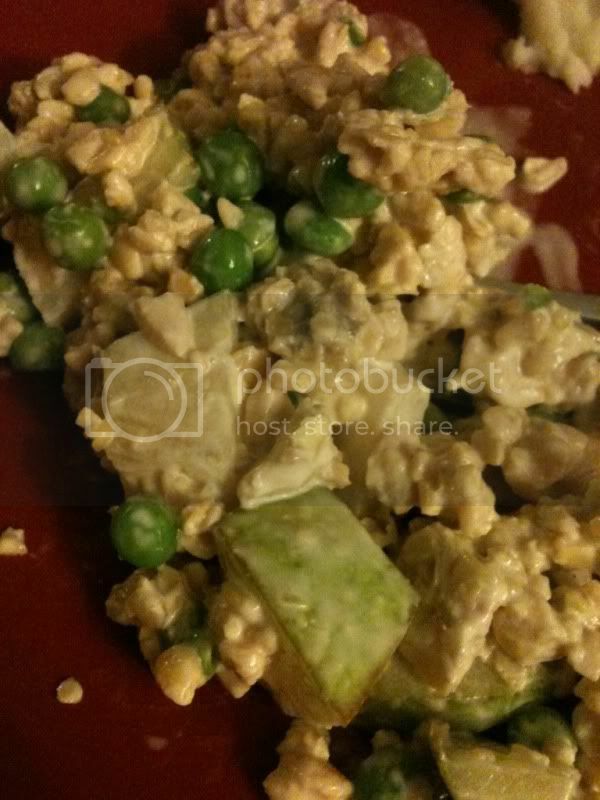 Pear, green onion, and tempeh in a wasabi mayo sauce. So good! Leftovers for lunch too!